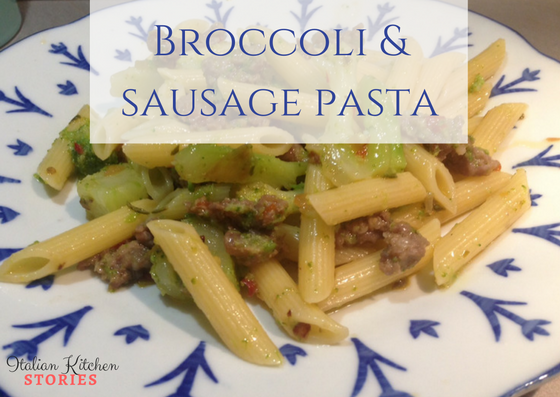 So lets make this easy broccoli & sausage pasta dinner. Heat up the water and put your pasta. Set the timer and then move onto preparing the sauce. Usually the pasta will take about 10 minutes and that will be a plenty of time to prepare broccoli and sausage. Chop shallot onion into small pieces and add to your frying pan over a 2 table spoons of olive oil. Let it warm up for about 2 minutes. 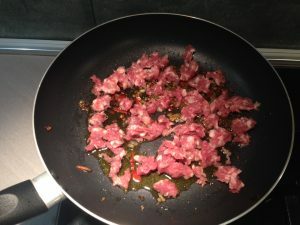 If you like more spicy taste add 1 tea spoon of fresh peperoncino mix. Stir it with a spoon and let it sit for one minute and then add sausage which you will separate with your hands into smaller chunks. 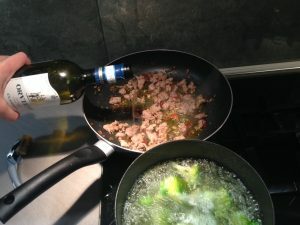 Once the sausage has changed color and has lost its bright pink color add some white wine (I use about half of a cup, when I cook for two, If I do it for 4 people then I would use 1 cup). Stir it and let the alcohol in wine evaporate leaving only the gorgeous flavor. Add salt and pepper to taste. This is also the moment when you will add broccoli to a salted boiling water. 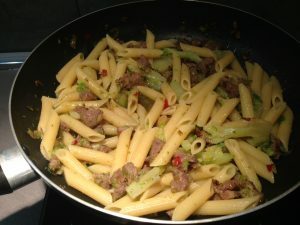 Cook it for max 2 min (I cooked mine a bit longer and once I mixed broccoli with sausage and pasta all the little flowers vanished, so cook it less and they will remain deep green and firm). 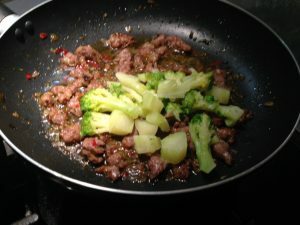 Add broccoli to sausage and stir all together, letting all the flavors penetrate for about one minute over a low heat..
Add al dente cooked pasta to your broccoli and sausage sauce and stir gently making sure you are not breaking the broccoli flowers, but keeping them intact as much as possible. Let it sit for 30 seconds before turning off the heat. As you can see I have used penne pasta but you can use all short types. The only one I wouldn’t recommend is spaghetti. 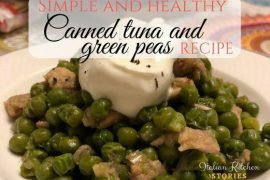 You can sprinkle it with fresh grated Parmesan cheese and serve immediately. 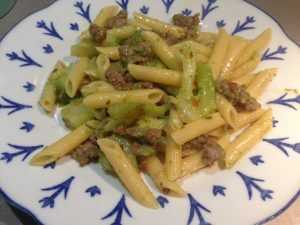 Buon Appetito and enjoy your broccoli & sausage pasta dinner!